In the Aetherlight the Biblical teaching is woven through the whole experience. The game itself is an allegory to the Bible much like the Narnia books, and players will discover many echoes of Bible stories and themes as they adventure through Aethasia! 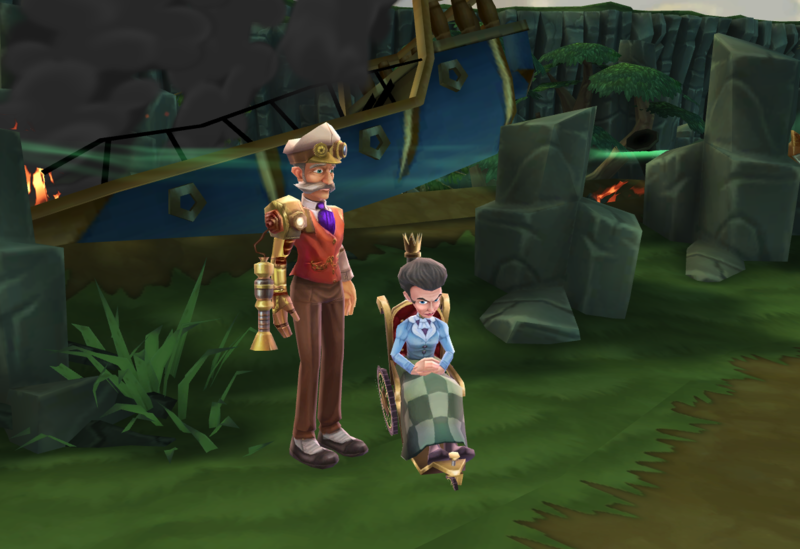 Some of the first people players meet are Alexander and Selina, who are an older couple traveling to a new land they were called to by the Scarlet Man. This is the allegorical story of Abraham found in Genesis 12-22. First, they will meet the Postman who is on a journey of discovery making connections to what is happening in Aethasia and Bible stories that he has read. He gives the player his journals to keep safe as they contain "important information". 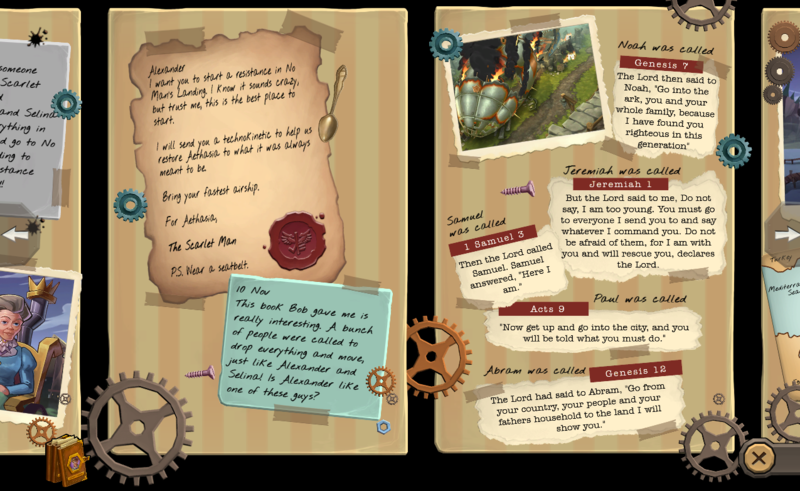 These journals are designed to create curiosity about the Bible and for the players to do some investigating themselves. Parents also receive Parent Update Emails which are tailored to the section of the game that their child is currently playing through. These emails offer suggestions for conversation starters and open-ended questions to help families have conversations about the connections to the game and how this learning could also influence the community we live in. In addition to these two areas of support, we also have the Companion Engines which are out now on Windows, Mac, and select tablets, you can find links to your device here. 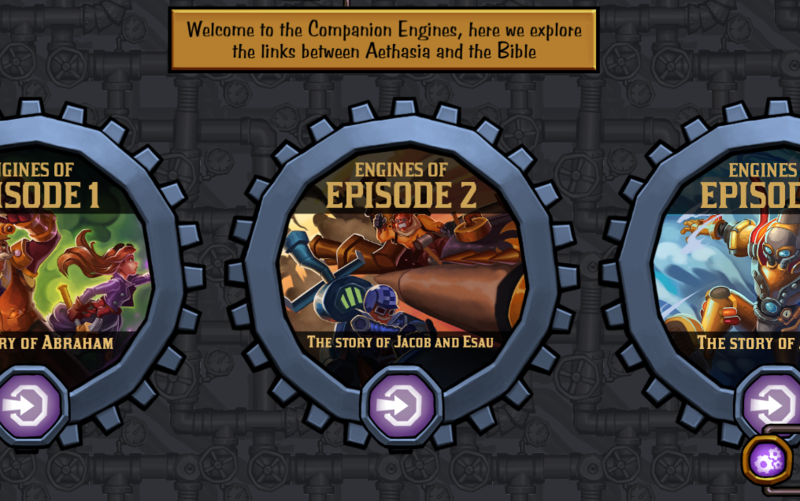 This is a stand-alone app with Learning Engines for the players to complete that help them to understand the connections to the Bible stories, the context of the time and the themes. This app also contains a Bible reader and more of the Postman's Journals to help the player with their investigations.